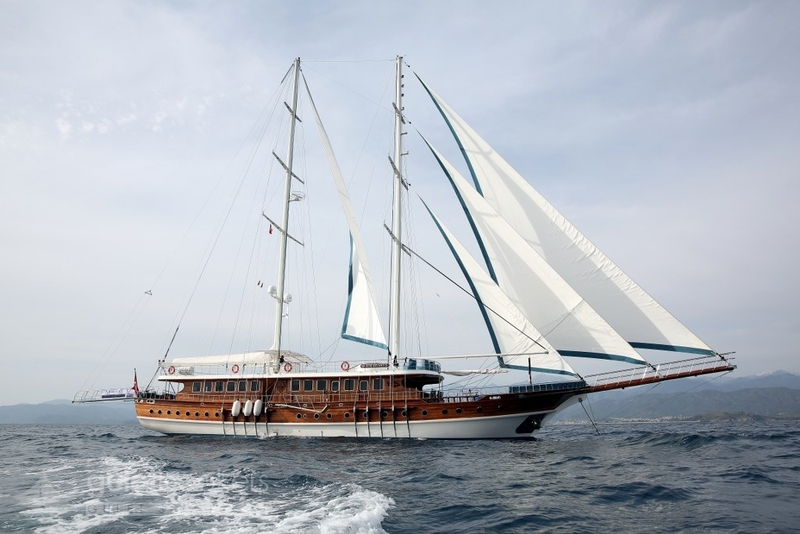 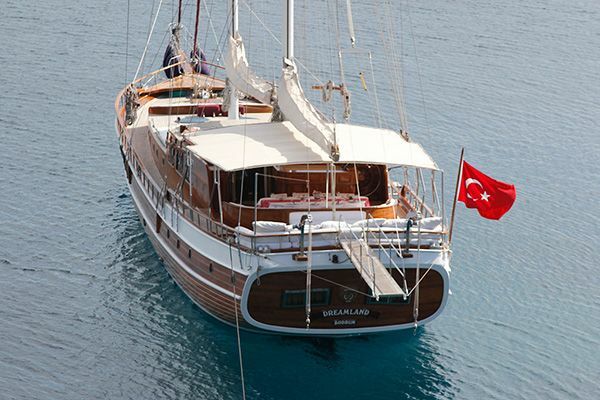 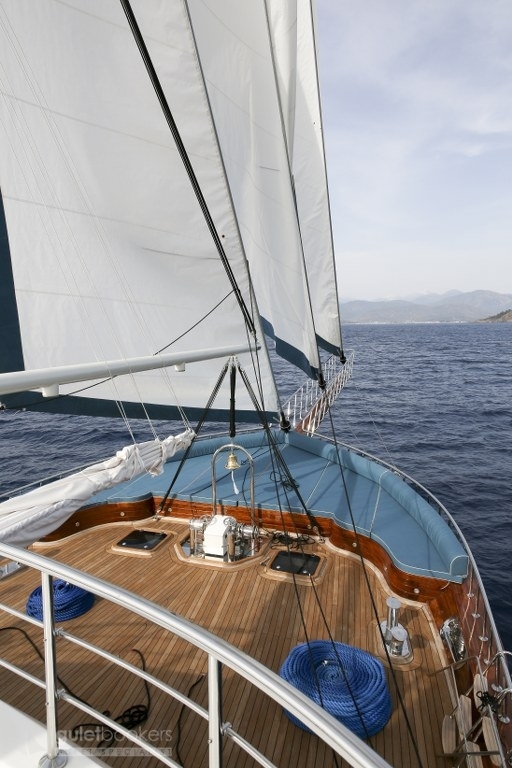 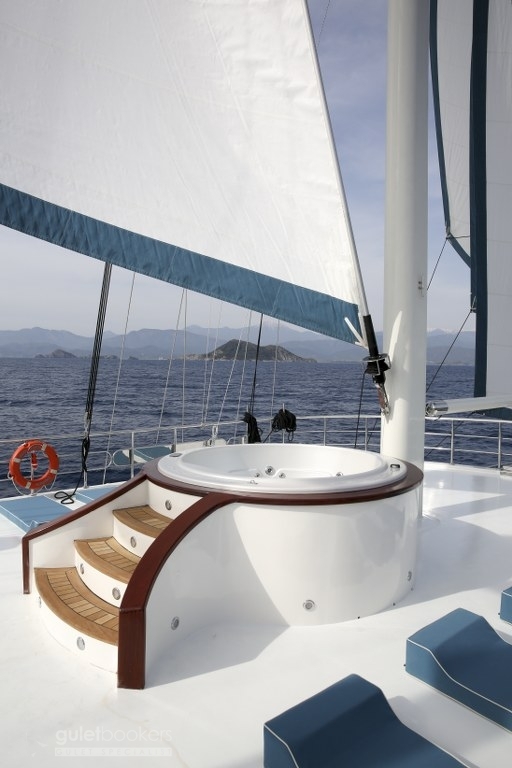 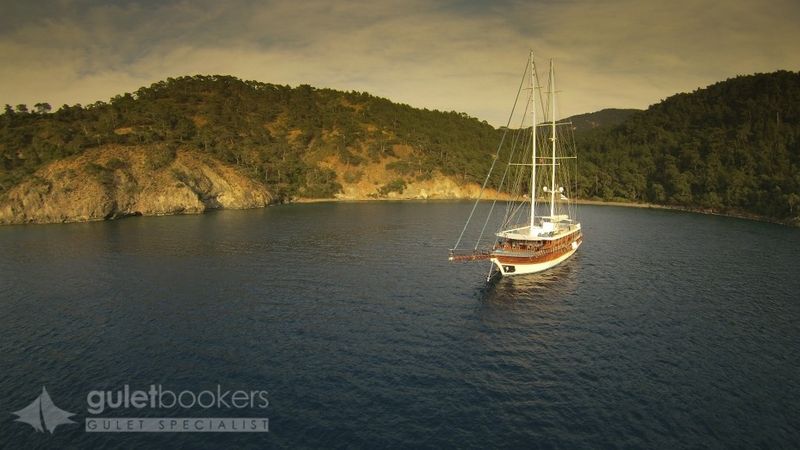 The elegant Deluxe gulet Queen Atlantis promises a very special gulet charter experience for up to 16 guests aboard. 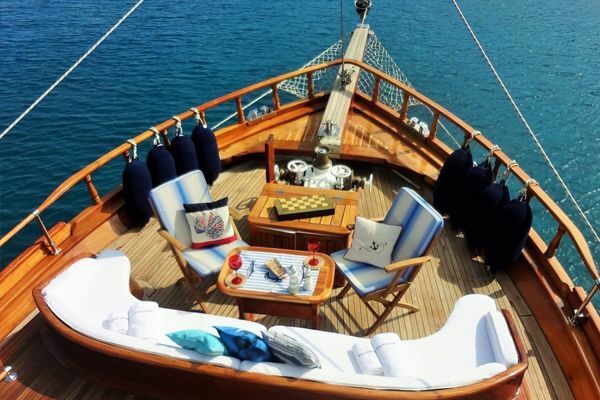 Completed and launched in early 2015, the master craftsmanship in teak is evident throughout the full 36 meter length of the 8 cabin gulet. 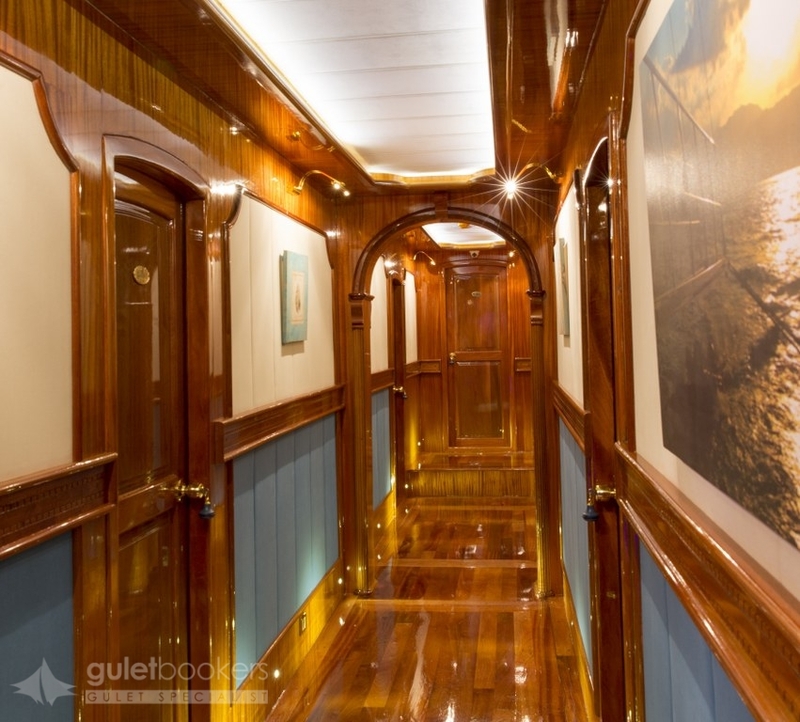 The lavish attention to detail in furnishings and textiles in all areas of the gulet yacht complement the high gloss of lovingly polished timber to give an elegantly classical style to the interiors. 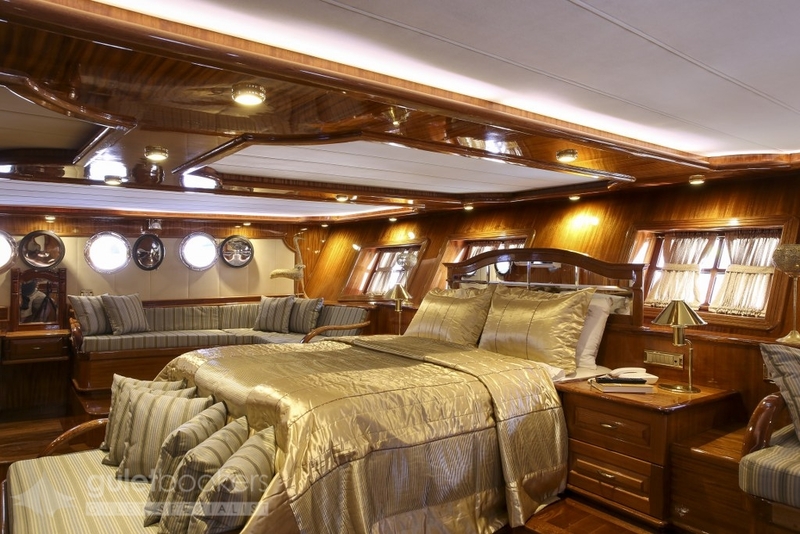 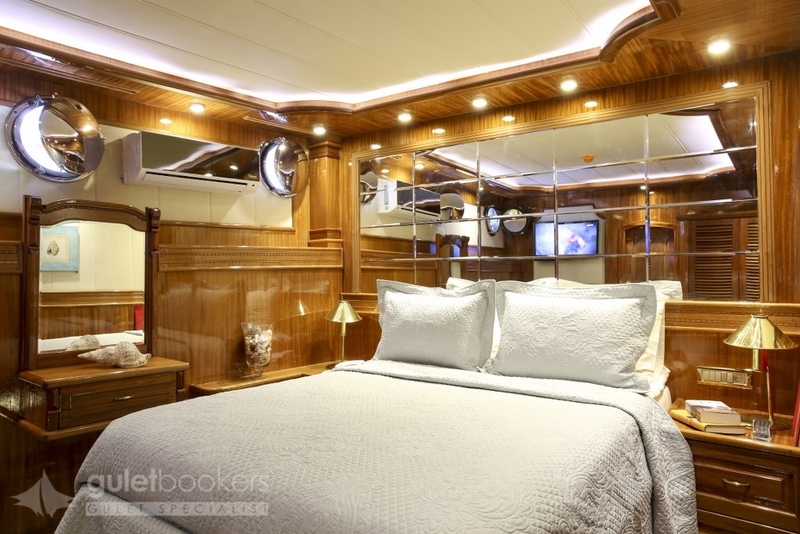 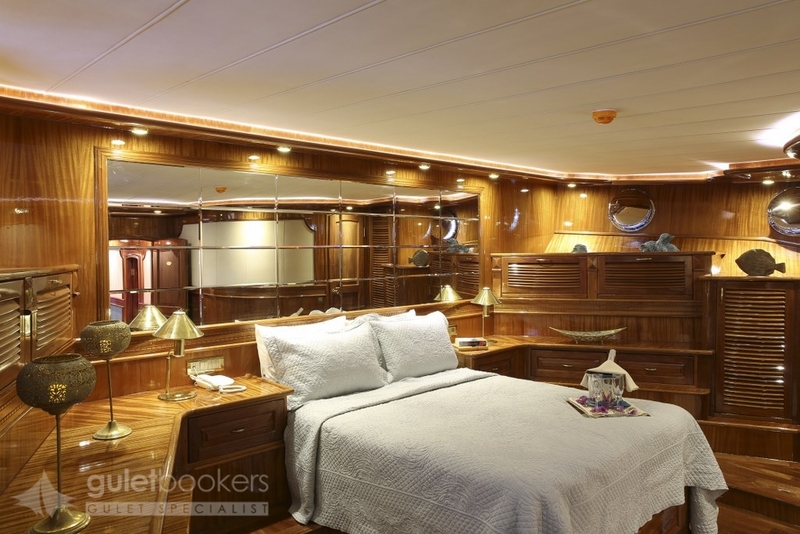 The master cabins on Turkish gullet Queen Atlantis are spacious and styled to give guests a luxuriant pleasure in their surroundings, with the central king size beds, side settees, vanity desks and well-appointed bathrooms, and completed with TV satellite and music systems. 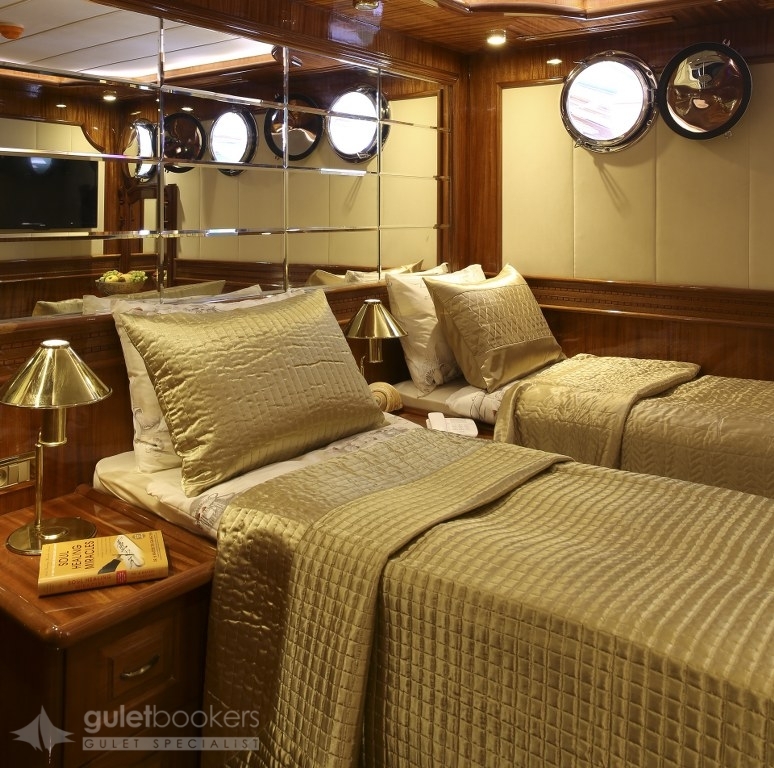 All of the cabins are spacious enough to afford walk-around double beds in the double cabins, and one of the single beds in the twin cabins. 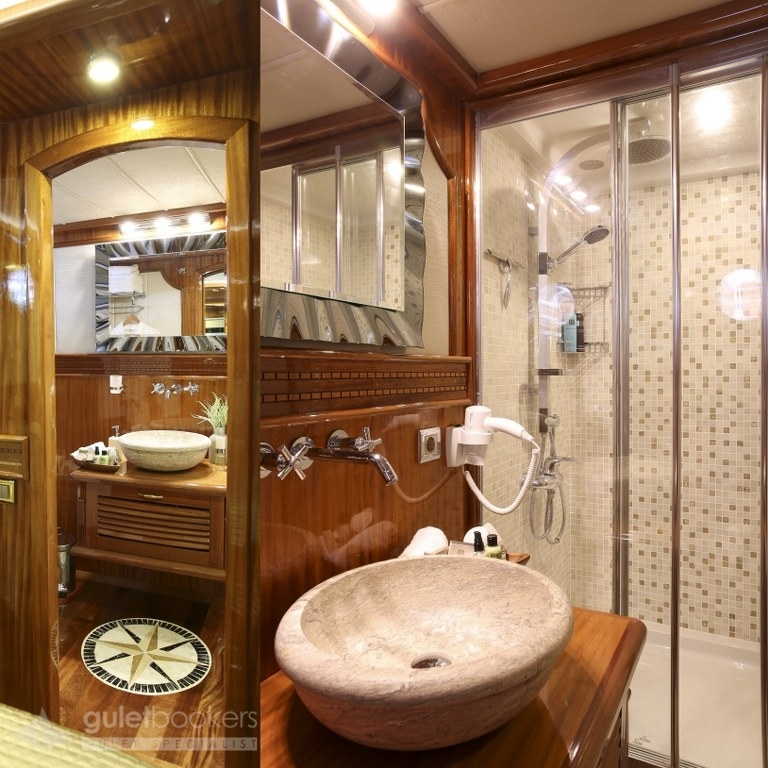 All eight cabins have private bathrooms, their own TV/DVD system and have air- conditioning available. 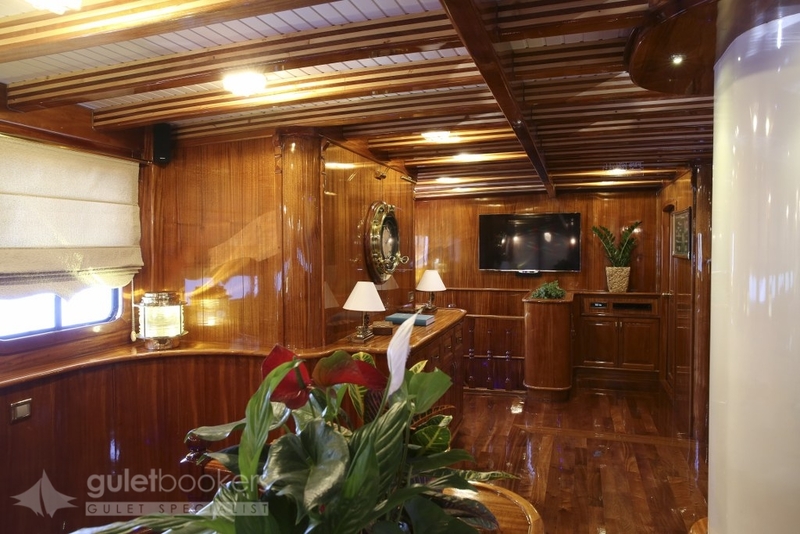 The shared spaces in the saloon and on deck are vast and generous. 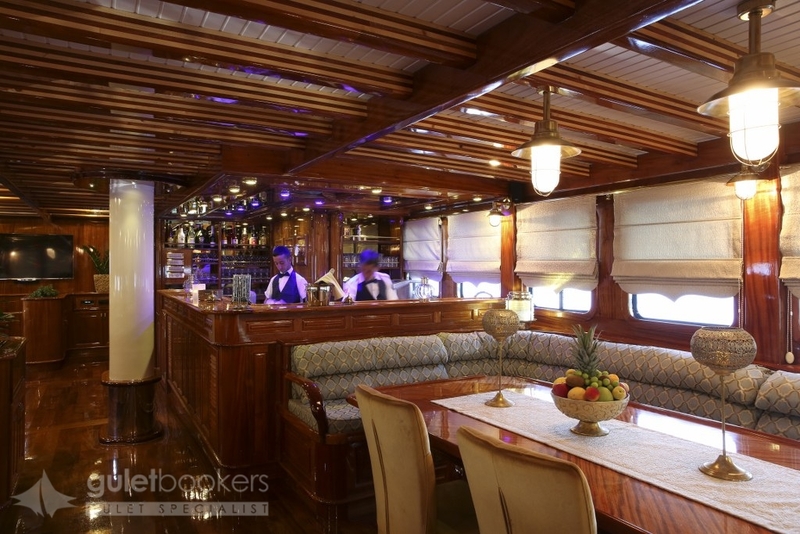 If the guests desire to enjoy a formal dinner party, the indoor saloon with the full service bar and separate lounge seating area is perfect to fulfill their wish. 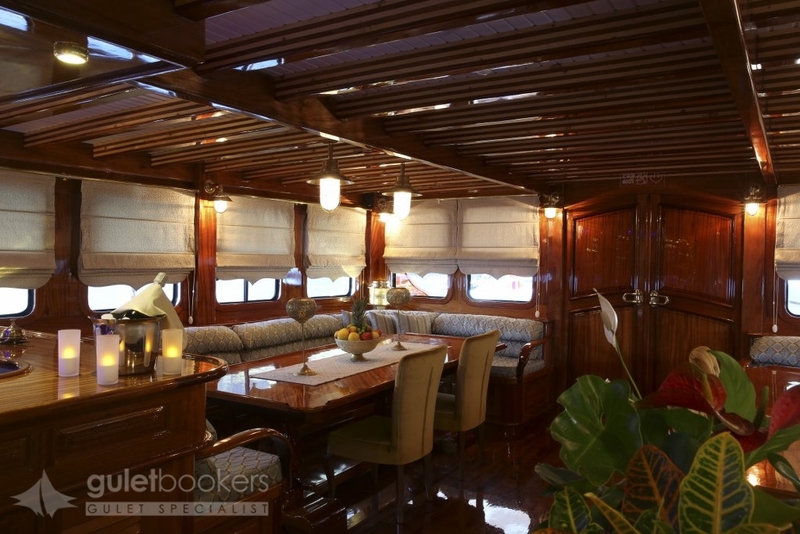 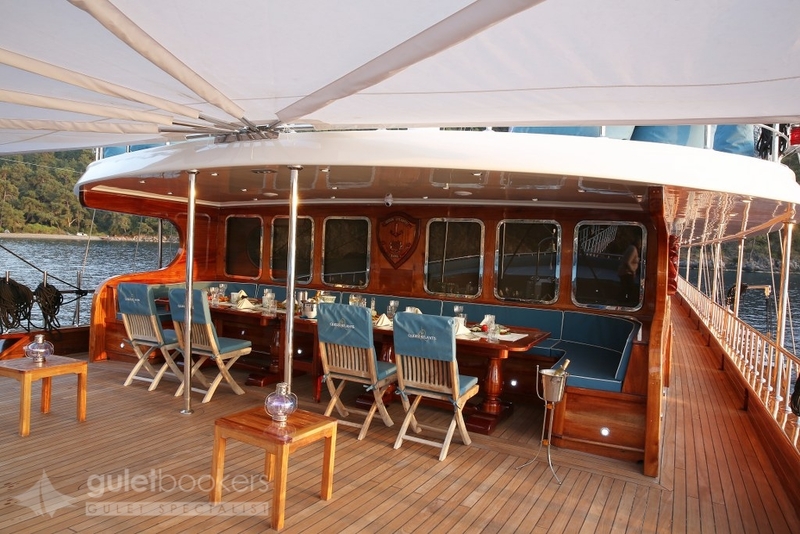 For the informal meals on deck there is the full dining table and chairs under the shade on the foredeck. 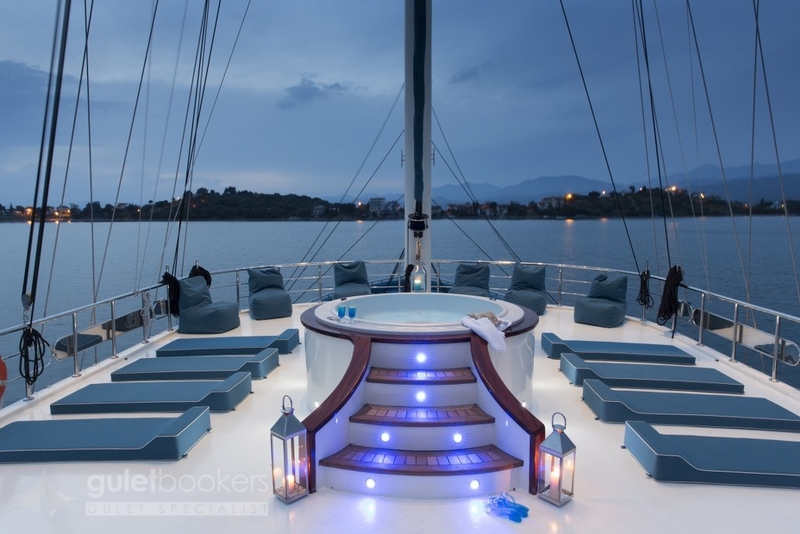 Relaxing and enjoying the sun could not be easier with banks of cushions at the stern and in the bow, and the wonderful full top deck complete with a Jacuzzi, individual sunbeds, and cushions. 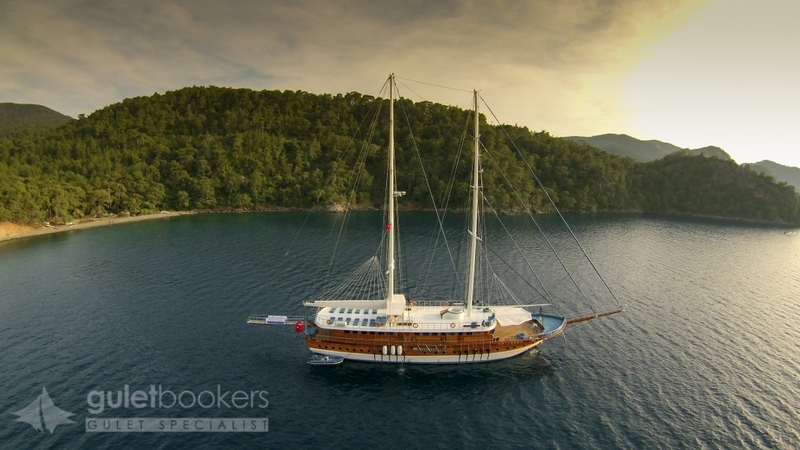 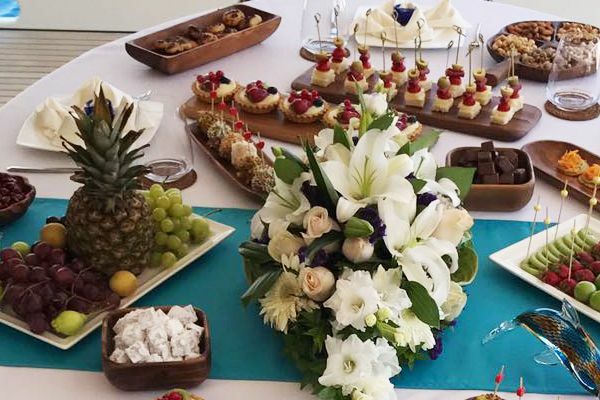 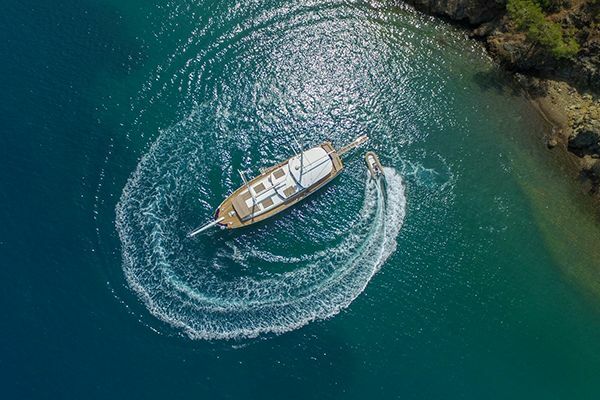 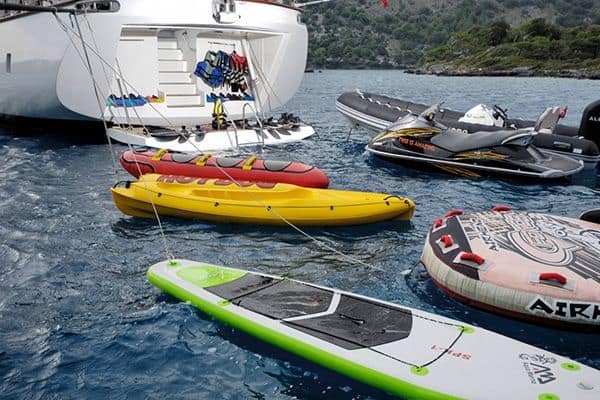 With sails set for the breeze, guests will love cruising in splendid style along the spectacular coastlines of the Turkish Mediterranean and Aegean coastlines, and into the nearby Greek Islands with Queen Atlantis yacht.